The Alu elements are the most abundant mobile elements in the human genome, and is basically a short stretch of DNA which transposes itself from one chromosome location to another. The Alu gene has been implicated in several genetic disorders as well as cancers and tumors. The Alu element is generally about 300 base pairs long and belongs to a group of DNA genes known as the Short-INterspersed Elements (SINE). It is therefore important to study how this DNA sequence “jumps” from one chromosome to another to cause abnormalities in the human body. Also the Alu element insertions have recorded into the genome from generation to generation and can thus be used to obtain information about the ancestry, since individuals will only share a common ancestor if they have share a particular Alu insertion. The animation below describes how the Alu element transposes or jumps from one chromosome to another. Alu is an example of a so-called “jumping gene” – a transposable DNA sequence that “reproduces” by copying itself and inserting into new chromosome locations. The bulk for the human genome contains many sequences that do not code for any proteins. These regions are sometimes referred to as “junk” DNA, and make up more than 98% of the human genome. Included in the non-coding DNA are many repetitive DNA sequences. Two important families of repetitive elements are the LINEs (Long INterspersed Elements) and the SINEs (Short INterspersed Elements). L1 is the most prevalent LINE, and makes up about 17% of the human genome. Alu is the most prevalent SINE, and equals about 11% of the genome. Alu and the other SINEs are “defective” transposons; they depend on the enzymes of other transposons, like L1, for mobility. L1, at approximately 20 times the length of Alu, encodes all the molecular machinery needed to replicate and “move” within the genome. An L1 element is approximately 6,000 nucleotides in length, with two untranslated regions (UTRs) and two open reading frames (ORFs). The ORF protein products assemble into a complex that enables L1 and elements such as Alu to move throughout the genome. The structure of L1 is a stark contrast with that of the tiny 300 nucleotide Alu. Alu elements have no open reading frames and, so, encode no proteins. Alu elements are characterised by a sequence with two G/C rich regions: the left (L-Alu) and the right (R-Alu) monomers. These monomers are connected by an A-rich linker. Alu elements end with a poly-A tail. In the genome, Alu elements are immediately flanked by A+T rich sequences. The L-Alu region contains two specific features, Box A and Box b, which are binding sites for transcription factors and RNA polymerase III. Alu elements are transcribed into RNA by these proteins until they reach a stretch of T’s in the genomic DNA. The Alu RNA can act as template for the formation of a new Alu element that can insert itself in a new genome location. A likely model for this process requires the enzyme, a reverse transcriptase (rt), encoded by L1. 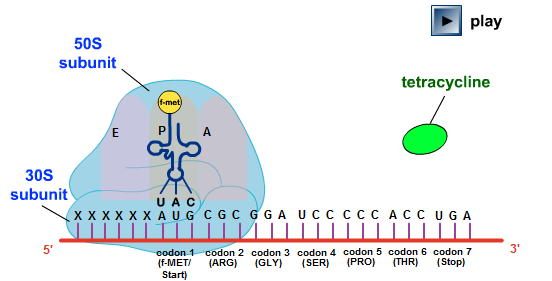 In addition to reverse transcription, L1 rt has the unique ability to nick DNA in a site-preferential manner. Most often the nick is made at the consensus sequence TTAAAA. This can create a single-stranded sequence of Ts that hydrogen bonds with the poly-A tail of the Alu RNA to form a short RNA/DNA heteroduplex. The heteroduplex then can serve as a primer for L1 rt to synthesize a complementary (c) DNA strand. A second nick is made on the opposite strand, a variable distance from the initial cleavage site. Then, either the L1 rt (shown here) or a cellular DNA polymerase synthesizes the second DNA strand. This results in an Alu element inserted into a novel position of the genome. The insertion also creates a “direct repeat” sequence on either side of the element.